Explore our latest Hilton Head deals and offers by visiting our website. 843-686-8193. Get two FREE bicycle rentals to explore the Island with on your weekly stay! Take a look at our selection of available properties at palmettosands.com or call 843-689-5900 and let us help you find your perfect vacation rental! 10% off Vacation Rentals + FREE TENNIS and MORE! Now through 12/31/2019. 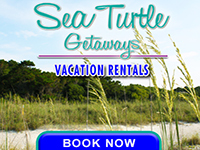 Use promo code HILTONHEAD19 when booking. 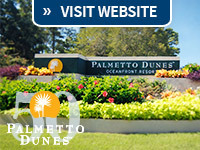 For more details about this offer https://www.palmettodunes.com/hiltonhead-offer. 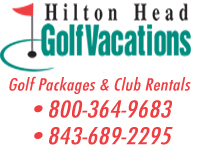 Hilton Head Golf Vacations – stay 7 nights for the price of 5 nights with Hilton Head Golf Vacations. Certain restrictions apply. Not valid with any other offer. Call for more information, 843-689-2295 or email [email protected]. Book a weekly stay and receive two free bicycle rentals on us! Check out our selection of available homes at www.beach-property.com or call 855-262-3291 and let us help you find your perfect vacation rental! 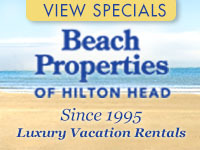 Let hiltonhead.com help you stretch your vacation dollars! Our Hilton Head coupon page can save you money on accommodations, water sports, meals, t-shirts, spa treatments and more. Simply click on the picture and print the coupon that appears. Print a few extra coupons for your family and friends or tell them about our special money-saving coupon page.